The reality is every one of us questions our value at some point. What does my life matter to anyone? Does anyone really care? People say such mean things about me, that must be what I’m really like. Why am I such a mess up? Why doesn’t anyone notice me? We all base our worth on how others view us. If someone else finds me worthy of their love, I must be worth something, right? But if I don’t feel like I am receiving approval from anyone, if no one else is noticing my worth, then maybe I’m not worth anything. We base our value on praise from others either for something we’ve done or bought or the way we look…because essentially, if someone else thinks I’m am O.K., then I must be O.K. While I would like to say, don’t worry about what others think, I don’t think that is realistic. I think all of us are wired this way….we are wired to be loved and accepted. The problem is people never love perfectly. Their views and opinions are constantly changing. They can never completely fill us up. And quite honestly, some people love horribly. Let me just say to the child who has never been unconditionally loved or accepted by a parent, I am truly sorry but it is NOT your fault and it does NOT mean you are worthless. I believe the only way to gain deep rooted self-worth is to understand how God, your creator, views you. Because HIS love is perfect and unconditional and pure. He thinks you are worthy. Once you understand this in the core of your being, in your soul, you will no longer depend on the fleeting approval of others, but your worth will be built on the solid foundation of an unchanging God. God talks to us through His Word, The Bible. It is His love letter to you. The Bible is full of the truth about how God feels about you. Below are some of my favorite verses from the Bible that describe who you are in God’s eyes. Let these words soak in. You can even try inserting your name into any one of these statements from the Bible. • Imagine being dreamed about before you were even born – God dreamed about you! • Imagine how it would feel to have someone love you so much they couldn’t stop thinking about you – that’s God! • Imagine someone singing a love song just for you- God does!! • Imagine someone tattooing your name on their hand – God has!! • Imagine never having to worry about being alone – God is always there. • Imagine someone who finds joy in knowing you – God does! • Imagine someone who is willing to take on your burdens – God will! • Imagine someone who doesn’t care about your past, but will accept you and make you new – that’s God. • Imagine being thought of as priceless, created with a purpose in mind. • Imagine a love so deep that someone would offer their child’s life to save yours and then make you their child – that’s what God did. • Imagine that despite your past mistakes, someone offers you a do-over for free, that will not be taken away – God offers you this! Did the Words Sink In? Are you beginning to understand? You are SO precious. Not because of what people think, not because of what you do, not because you look a certain way or have achieved a certain thing. You are worth so much because God loves you. Here are some more resources for finding self-worth and some additional verses of hope. 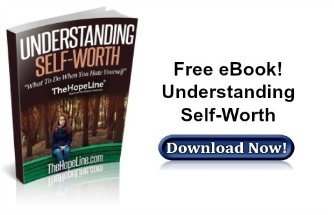 TheHopeLine’s eBook on Self-worth gives a lot of practical advice about things you can do to increase your self-esteem. 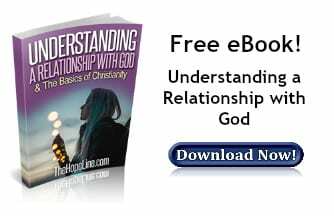 They are especially helpful tips once you place your value in the fact that you are a child of God. 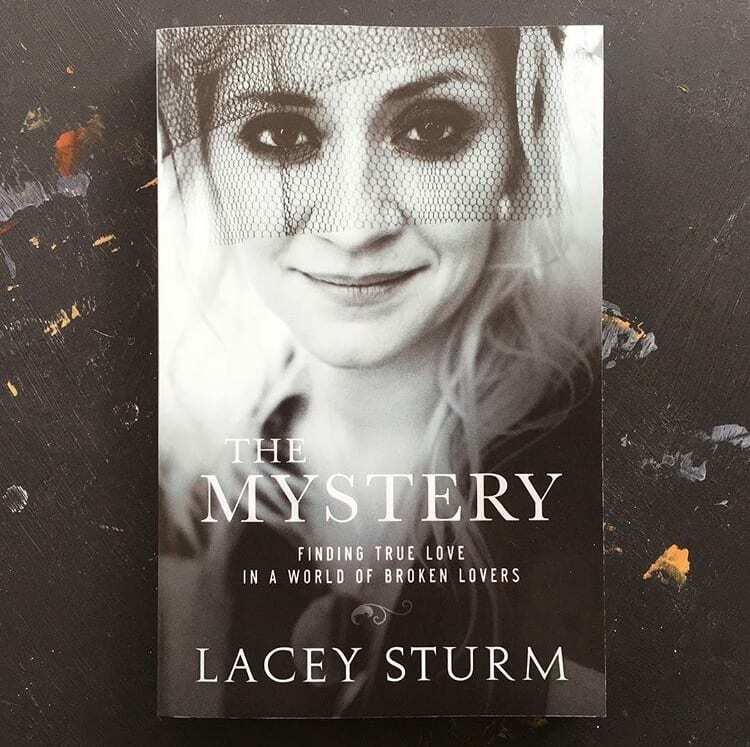 Lacey Sturm…you probably know who she is but just in case you don’t, she co-founded the rock band, Flyleaf, and was their lead singer for 10 years until going solo. Now she has debuted her solo project, Life Screams. But I’m really here to tell you about her deep and personal memoir that was just released this month, The Mystery: Finding True Love in a World of Broken Lovers. I got the privilege of reading her book and interviewing her about it. She was a sweetheart during our interview and really poured out her heart. She has had her struggles and she is not afraid to talk about them! She wants others to learn from her experiences and she wants to help people! I haven’t met too many rock princesses but I doubt many of them would be willing to be so vulnerable and share such personal experiences in order to help others. As Lacey says, with an orphan mindset, you feel like a burden on others. You don’t want to burden anyone with your problems so you don’t reach out for help or accept help when it’s offered. We (people in general) have an innate need for community with other people. Our society teaches us to be independent and to make it on our own, but in truth, we need each other. We need someone in our corner…friends or family to be “our people.” We need them to support us, to encourage us when we are down, to celebrate with us when things are good, to listen when we need to talk, to give us wisdom when we don’t see clearly. So, don’t be afraid to make deep connections with people. Don’t be afraid to reach out for help when you are struggling because you aren’t meant to carry your burdens alone. 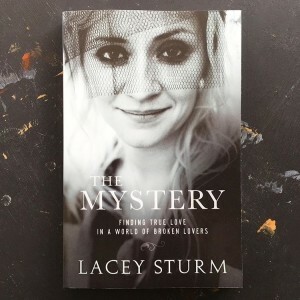 Lacey Sturm is a supporter of TheHopeLine!! Have people in her life that loved her and have people she would listen to no matter what, especially when it came to wisdom regarding relationships. And she wrote down a vision for what she wanted in a husband. 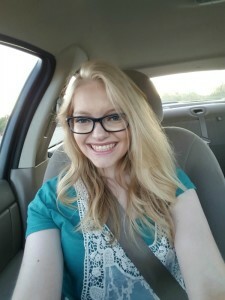 Then she took her vision to God and asked Him to help her so that she would listen when God said, “Not yet,” Or “No” and that way she would know the relationship was safe and she wasn’t just manipulating the situation or tricking herself into thinking it’s good, like she’s done in the past and then been hurt by it. In her book, she shares raw, honest, personal stories which will give you insight into not only her life but your own as well. She also has these letters dispersed throughout the book called, Hero Notes. She has people; such as, Evan Tachoir, Brian Welch, Stephana Mosely, Joshua Sturm, Korey Cooper, and many more. They each write a letter to ‘the reader’ with words of encouragement and wisdom they have learned through their experiences. There is some really good stuff in there! Check out her book! October is national bullying awareness month. 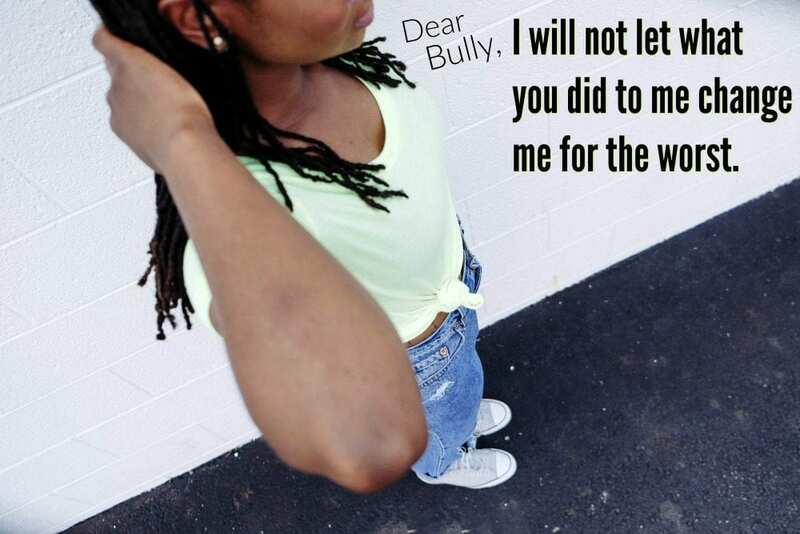 I have lived through multiple experiences of being bullied but this time I’m not going to write about them, at least not directly. I feel that many times when the topic of bullying awareness is brought up we talk about our experiences and how we overcame them. We tell students to “talk to an adult” about what’s going on, and tell victims of bullying that what they are going through is not a reflection upon their self worth. It seems as if one of the most important part of bullying awareness is rarely talked about – forgiveness! Forgiveness is simple but yet complex. As a victim of bullying, I was never able to fully heal from my experiences until I learned and started practicing this. I have found out the hard way that not forgiving the mean girls did absolutely nothing positive for me, but instead gave them more power over me. Their actions in the past was affecting how I was moving forward into my future. I did not become angry as some do when they withhold forgiveness, but had guilt about holding onto a grudge. Within this time, the past and current actions of my peers who were bullying me, seemed to hurt more and more everyday. The following summer when I had no contact with these individuals, the pain of not forgiving them continued to grow. Even when I wasn’t around the bullying, I was giving power to the mean girls over me by not forgiving them. I was giving them the response that they wanted me to have. It took time to fully forgive those who have hurt me. Honestly, I am still forgiving some. You may be thinking, “forgiving is good but what my bullies did to me was so bad I’m not sure if I can do it. Not everything is forgivable.” I have believed this lie and have taken this to heart. I tend to subconsciously think that Christ died just for those who are morally good. The truth is – He didn’t. He died for Hitler, Queen Mary the first, that family member that I have a broken relationship with, my best friend that I love dearly, my friends, myself, AND those who have hurt me! If He can forgive all of those individual sins, then what is stopping me from forgiving the mean girls? Selfishly I think, if I can’t forgive my enemies how could God ever forgive me? I’m really not any different from them. Forgiving is not admitting that what your enemy did to you was okay, or that it did not hurt. It is simply not holding on to their actions anymore. You are not obligated to become friends with them and does not give the other person permission to repeat their actions. Forgiving is being in physical chains but having access to the key. The longer you wait to come out of the chains, they become heavier on your body and soul. The person who locked you in the chains does not feel the affect of the weight upon your body the way you do. When you find the courage to pick up the key and take the chains off, your body is instantly relieved. Forgiving those who bully you does not guarantee that you will no longer be hurt by them. Holding a grudge will absolutely do no good to you. Most likely the one who is personally bullying you has been through the same thing themselves and takes the pain that they have and uses it to hurt others. Those who have been hurt, tend to hurt others. 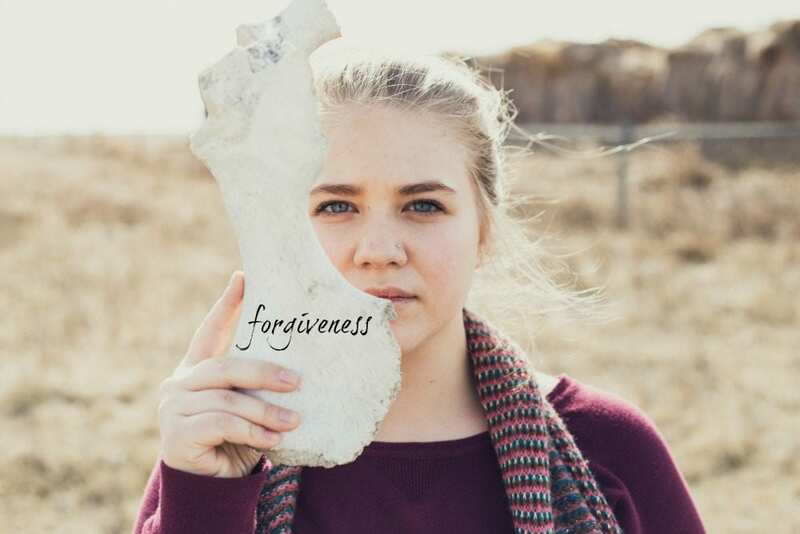 As a part of bullying awareness, we need to talk about the power of forgiving the bullies because if we don’t forgive them, even if they did not seek forgiveness, what does that show about your character? Start praying for your enemy. Try to find a positive trait about them. Start to compliment them. This will start to change your perspective of them. Remember that God forgives them. Forgiving does not have to happen overnight, but if you want to change your emotional self, it does have to happen. It’s as sweet as walking into a candy store. Forgiveness can release you from the insane grip of the past. For more on how to forgive and why it’s so important for you to forgive, download TheHopeLine’s free eBook. She sits at her computer looking back over her shoulder, frightened he’s going to walk in the room and discover she is searching for a shelter. She’s curled up on the couch wondering if he is going to come home in one of his “moods.” Will today be a good day or should she be ready to lock herself in the bathroom? 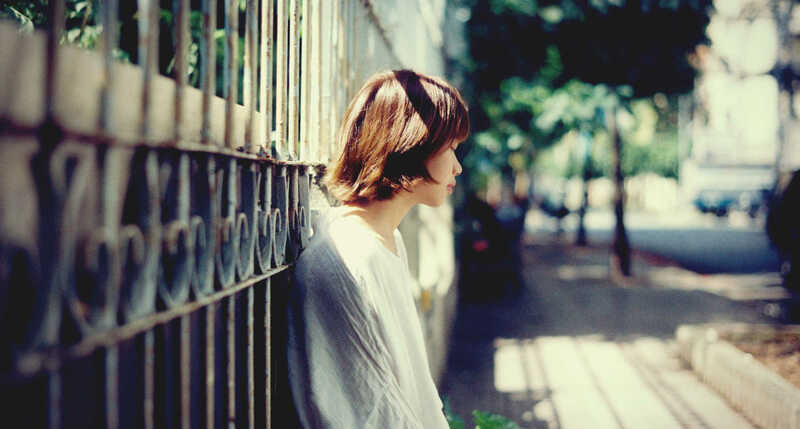 Her heart sinks as she gets her 20th text this hour questioning her whereabouts, telling her she should be home, accusing her of being with another guy. She does everything to assure him she is just shopping with her mom, but he wants her home. NOW. It is not O.K. that 1 in 3 women and 1 in 4 men experience violence from their partners in their lifetimes. So let’s talk about it. If you or someone you know is in an abusive situation, first and foremost, know that you are NOT alone, that this is NOT your fault, and help IS available. I want to start by pointing out some definite warning signs, provide a few safety tips and offer encouragement. • Wants to move too quickly into the relationship. • Wants you all to him- or herself; insists that you stop spending time with your friends or family. • Insists that you stop participating in hobbies or activities, quit school, or quit your job. • Does not honor your boundaries. • Is excessively jealous and accuses you of being unfaithful. • Wants to know where you are all of the time and frequently calls, emails, and texts you throughout the day. • Criticizes or puts you down; says you are crazy, stupid, and/or fat/unattractive, or that no one else would ever want or love you. • Takes no responsibility for his or her behavior and blames others. • Takes your money or runs up your credit card debt. • Rages out of control with you but can maintain composure around others. If you have experienced any of this, please know you are not to blame. You didn’t know what you were getting into, and once you are in the relationship it can be hard to see what’s going on. If you are starting to get concerned, it is time for you reach out for help….but how? 1. Get support. 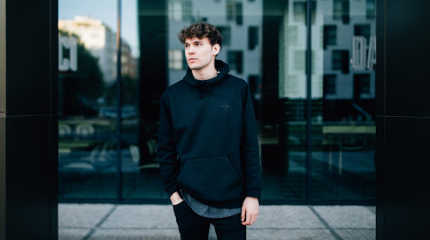 As mentioned above, abusers will often try to isolate their partner, so you may not have a good support system anymore and you may be concerned that no one will understand. But I promise you there is support. 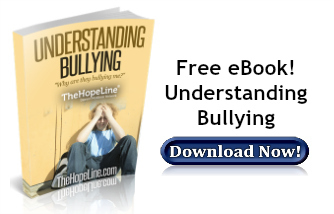 Please confide in someone and if you don’t think you have anyone to talk to, please chat with TheHopeLine®. We will listen to you and help your find resources in your area to help you get to safety. You are not alone. a. Have an escape route in mind to get out of the house quickly if your partner becomes violent. If you have kids, tell them the plan. b. You might want to alert your neighbors that if they hear yelling coming from your house that you would like them to call the police. It might not be a comfortable conversation, but it could save your life. c. Pack a bag with essentials and store it at a friend or family member’s house in case you ever need to leave suddenly. This could include clothes, medicines, important documents (birth certificates, social security cards, etc. ), money, etc. d. Speaking of money…if possible, open a bank account or hide money so you can be financially independent for a while. 3. Internet Safety. Since abusers are most often controlling and suspicious, chances are they are monitoring your on-line activities. 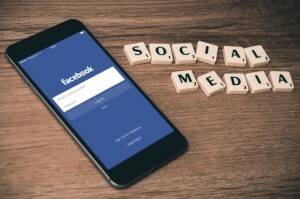 It doesn’t take much expertise for them to be able to track what you are doing on-line – so be careful and follow these tips. a. Avoid making any sudden changes in your internet use. For example, don’t go in and delete your entire internet history if that is not something you typically would do. That could raise their suspicions. In fact, continue normal internet activities on your computer/phone like shopping or checking the weather or news. b. You can delete certain items from your browsing history, but with just a little digging or spyware, those could still be discovered. The best practice would be to use a safer computer (a friends or the library, etc.) to look for shelters, a new job, a new place to live, bus tickets, etc. Now if you have taken the courageous step to get out of the abusive relationship, I know your fears are not necessarily over. You may still feel very unsafe. This was certainly the case for Stacey when she called my show. In the following clip, Stacey shares her fears after her ex found her via social media. I then opened it up to have other radio listeners give Stacey advice. 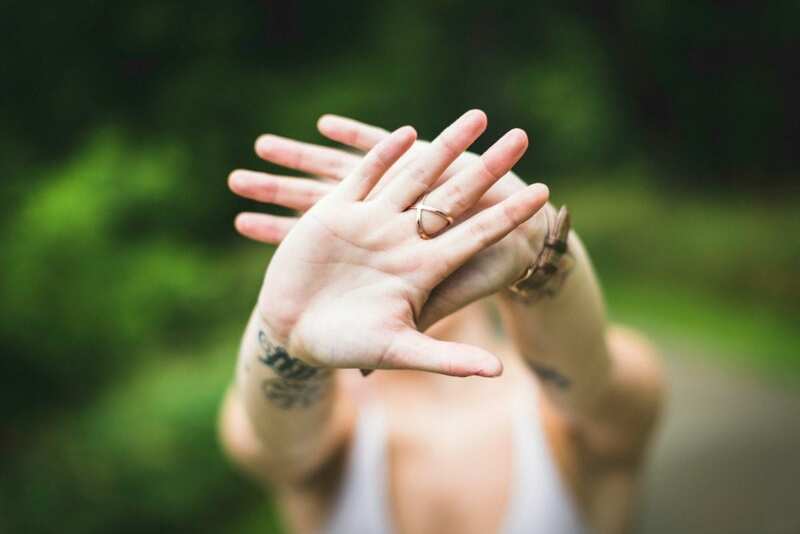 Lisa called in with some awesome tips that she used to protect herself from her own abusive partner. Get a PO Box in a neighboring town or county. Ask your cell phone provider to set your number to always come up as a blocked number when you call anyone. There is a lot of important information in this blog for you to consider. Remember you don’t have to do this on your own. Support is available. Finally, I want to encourage you to pray continually, asking God to protect you and provide for you, and ask others to pray for you as well. If you don’t know who to ask for prayer, please post a request on ThePrayerZone. There are people waiting to pray for you. God promises His protection when we call out to Him. I shared three verses from the Bible with Stacey to bring her comfort. Please listen to the clip below…these promises are for you as well. Dear Bully, how are you doing? I want to thank you. Thank you, my dear, for helping me become a strong person, for pointing out my best and worst personality and physical traits to me. Even though I am now thanking you, I will not let what you did to me change me for the worst. #bullyingawareness Click To Tweet I am not going to let your opinions about me change myself. You told me I am fat; I’m not going to lose weight for you. You told me that I’m weird, well, I’m just going to embrace that. You told me that I’m ugly. I don’t put makeup on for you every day. I put makeup on because I enjoy doing it and love playing with different colors. You told me that I’m stupid; I’m smart in my own ways. Your words won’t change me, but instead will strengthen me. It is obvious that you are hurting yourself, and you find it easier to bring others down then lift them up. You are insecure, have low self-esteem, and have probably been hurt yourself by someone else. However, though, I feel sorry for you. While I make a choice not to hurt others because you hurt me, you did not make that same decision. I want you to know that you are precious in God’s sight. I want you to know that I’m praying for you. Lama Leah is a supporter of the arts, social change, and God’s chosen people. 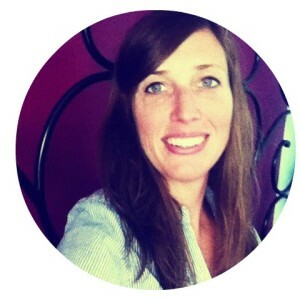 Read more from her at her blog: Lama-Leah!